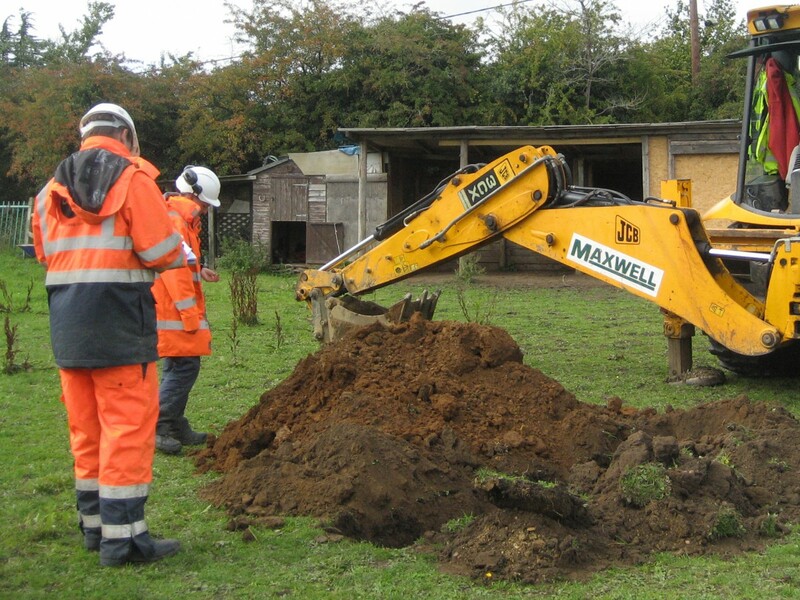 Oxford FAS ground investigations: a borehole being drilled this afternoon in South Hinksey. The A-frame percussive drill dug 9 metres down, below the alluvial layer, the gravel layer and 5 metres into the clay. The capped pipe is a monitoring site where the changes in ground water depth over time can be observed. Test pits are being dug and boreholes drilled over the flood plain below the Botley Road to examine what the ground consists of. Evidence of significant archaeology is also checked for. The information will be used to inform the modelling and planning for the Oxford FAS.